Done and done | In the Crayon Patch.. I had a few quilts in the 2013 Quilts at the Creek show two weeks ago. This is an outdoor show at Black Creek Pioneer Village in Toronto- what a great place to display quilts. They look incredible swaying in the breeze, and come home smelling SO fresh. Here are two of my entries.. This is a Kaffe Fassett snowball design, and is one of the rare quilts that I made that is pretty faithful to the pattern. I bleached some of the lighter fabrics to give me a wider range of fabrics to work with, as I did not have a huge stash of pales.. something to work on! 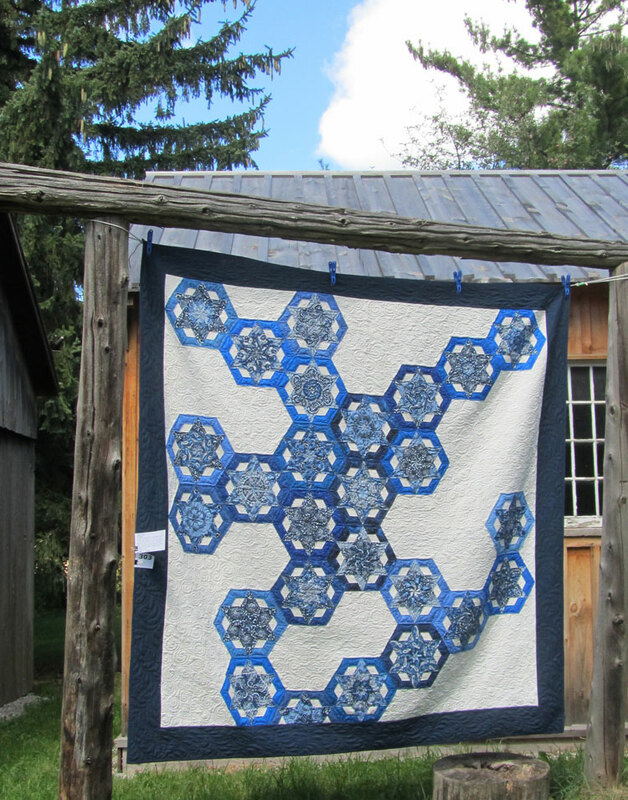 The design for this quilt started with the blue fabric. I cut it up to make a one-block wonder quilt (see the Flickr group of these here…. ). I realized I could take a second set of matching triangles, add them to the hexagon shape, and make a star. I then needed to make a LOT of triangles from solid blue (I now have an extensive collection of these now!) and white. Several people at the show thought my science background was showing, and it does look like a molecule, now that I take another look at it. 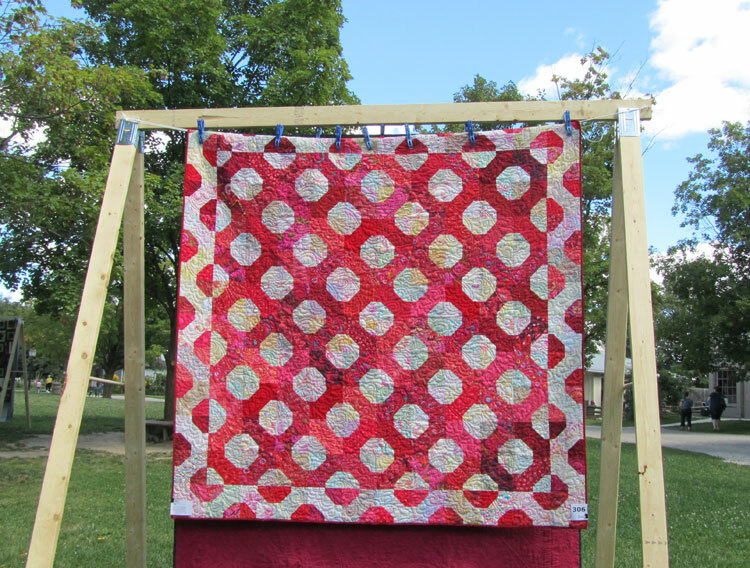 Beautifully quilted by my friend Sandy Lindal, of Scrappy Gal Quilt Company.